Investments are meant to bring investors a greater return than what they initially invested, yet this is not a guaranteed scenario. With the unstable economy in the United States over the past nine years, many people have found themselves “upside down” in their mortgage. For most people, a home is the largest purchase that they will ever make, and they are willing to make a big investment. However, finding yourself upside down in a mortgage – where you owe more than your home is now worth – leaves you with a very difficult decision of how to move forward. 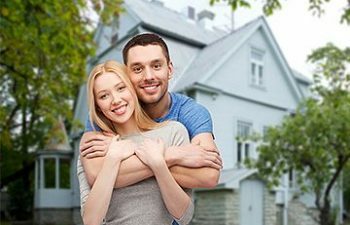 Just four years ago, people were sweeping the housing market in Georgia by purchasing houses that were in foreclosure, allowing themselves to get a “really good deal” on a “really nice house.” This was incredibly beneficial for the buyer; not for the seller. While the housing market has leveled out in terms of people purchasing homes, there are many home owners who are in a precarious situation. In many cases, people owe more money on their homes than the bank says that their homes are worth, and it will take years for the homes to regain their value – if they ever do. Finding yourself in a situation where an investment has turned bad is never a place where you want to be. There are options for home owners, one being to choose to stop making payments, even if they can afford to stay current. This option is known as Strategic Default, sometimes referred to voluntary foreclosure or “walking away” from an investment. Strategic default is generally viewed as a business decision in the state of Georgia rather than a decision based on not being able to afford current payments. That is because the state of Georgia allows deficiency judgments that allow the lender to seek a personal judgment against the borrower to recover the deficiency after a foreclosure sale. This often leaves the borrower responsible for paying back the difference (deficiency) in what the borrower originally owed and what they house actually sold for in foreclosure. For example, if the total debt owed on a home is $370,000, but the home only sells for $275,000, the deficiency is $95,000. The lender may have the right to seek personal judgment to recover the deficiency. It is important to seek advice and counsel if you find yourself upside down on a home mortgage. Any default on a loan will have negative consequences, and it is important to know your options and their consequences before making a decision. Contact Boudreaux Law Firm to schedule a consultation.